Our beloved, Scott Hoch, passed away unexpectedly on April 4, 2019. Scott was an incredible man who was known and loved by many, especially his family and close friends. Scott and his wife, Mary met and married in the Palm Springs area of Southern California in 1987, a few years later moved to Seminole, Texas and have resided in Albuquerque for the last 20+ years along with their children Forest and Sarah. Scott was a a tile contractor for most of his life and owned and operated Scott Hoch Tile and Marble in Albuquerque. Scott was born and grew up in Texas with his parents: Forest and Blanche Hoch and brothers: Donald, Michael and Forest Hoch. Scott leaves behind his wife of 30 years, Mary; children: Forest and Sarah; his brothers: Michael (Melissa) and Forest (Betty); mother-in-law, Margaret Davis; sister-in-laws: Elizabeth Noll (Tom), Marilyn Kerker (George), Cai Davis and Charlene Davis; brothers-in-law: Irl Davis, Jim Davis (Rose), Tom Davis (Brooke), Chris Davis (Lisa) and numerous nieces, nephews, and cousins. Scott will be greatly missed by his long list of close friends: Rose Reeves, Richard Lechuga, Kevin Sears, Kathy Christ, Jody Ellis, Meagan Sweanor and so many more. Scott is preceded in death by his parents, brother, Donald and brother-in-laws: Thane Martinez and Joseph Davis. 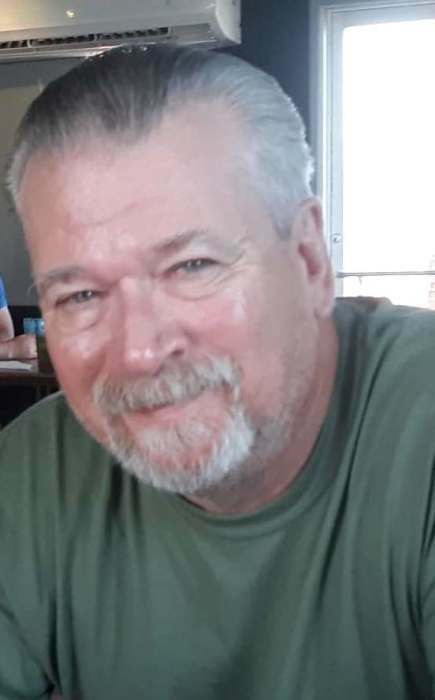 Scott’s Life Celebration will begin with a brief service and opportunities for family and friend to share their hearts on Saturday, April 13, 2019 at the American Legion Post 69 located at 9000 4th St. NW, Albuquerque (Alameda), NM 87114 from 12:00 to 4:00 p.m. If you would like to bring food, flowers, etc. please contact Rose @505-263- 7949 or Kathy @505-235-0643. The family wishes to thank the American Legion Post 69 for all their services.